The 600 npi CF3 inkjet printhead from TOSHIBA TEC is designed for a wide range of industrial applications, including labels and packaging, corrugated, coding, signs and graphics, roll-to-roll printing of business forms. CF3 is designed for single-pass or scan-based printing in various orientations on flat or curved surfaces. 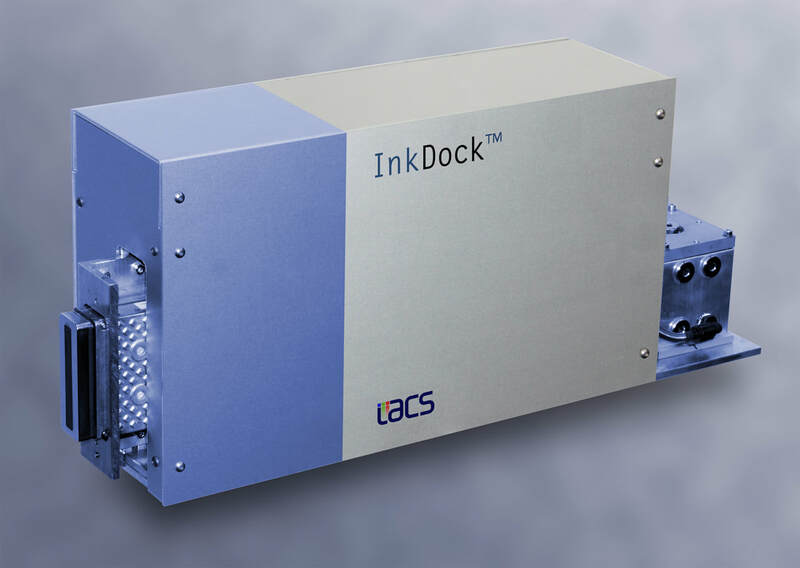 InkDock™ from IACS is a highly compact and versatile ink supply system for industrial inkjet print heads that have reflow or fluid recirculation architecture. 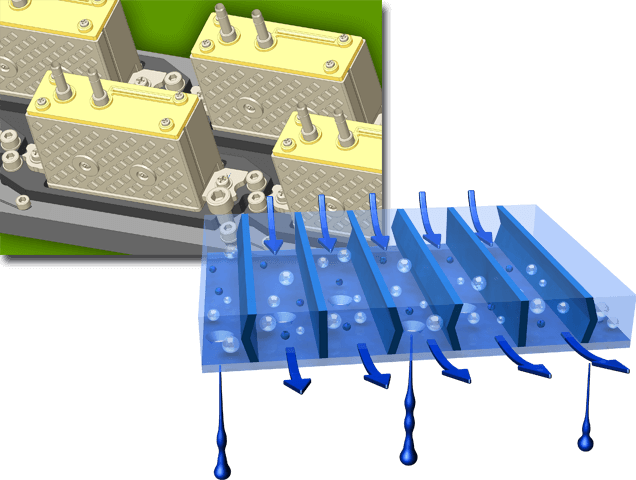 Recent inkjet heads use recirculation to eliminate the build-up of air bubbles and pigment sediment around nozzle openings, vastly improving their reliability and minimising production down-time. 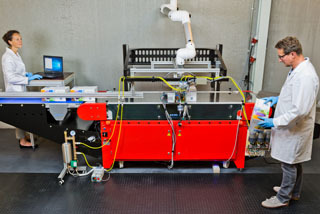 Reliable jetting is particularly important in single-pass printing. ​TOSHIBA TEC CORPORATION has started to deliver samples of its new 600 npi CF3 industrial inkjet printhead, which doubles the print resolution of existing models. CF3 is designed for a wide range of applications, including signs and graphics, roll-to-roll printing of business forms, labels and packages. ​TOSHIBA TEC Inkjet Business Group is pleased to announce the commercial availability of its CF1XL large drop-volume inkjet head, designed for challenging applications. The new, versatile and productive inkjet head extends the TOSHIBA TEC CF1 family of heads and provides the inkjet market with a wider choice of printheads to suit different application areas. The CF1XL has a native drop size of 36 pL, jets drop volumes up to 180 pL. If you want to know more about inkjet technologies, TOSHIBA TEC inkjet heads, ink recirculation systems, drop watchers, colour bars, single-pass printing, ink-substrate-head interaction, ... just ask your question.